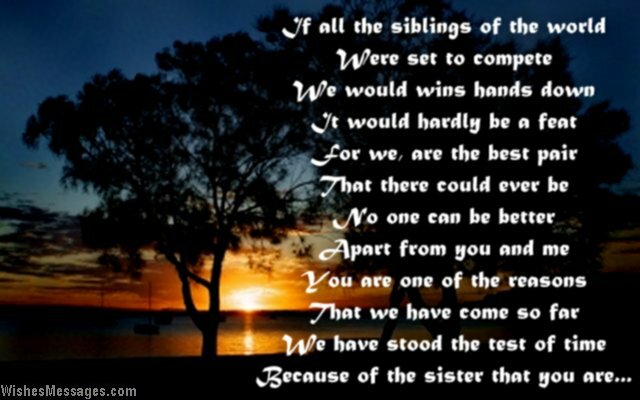 Thank You Poems for Sister: Whether older or younger, sisters always play a defining role in their siblings’ childhoods. More often than note, the priceless value of the special friendship shared by brothers and sisters is realized only in hindsight. Dwell deep into the funny idiosyncrasies and the sweet bond of the relationship between you and your sister. Gather your thoughts, put them into words and create your own little rhyme. Write it on a handmade greeting card or post it on your sister’s Facebook. Instead of waiting for your sister’s birthday or other special occasions, do this on a random day. 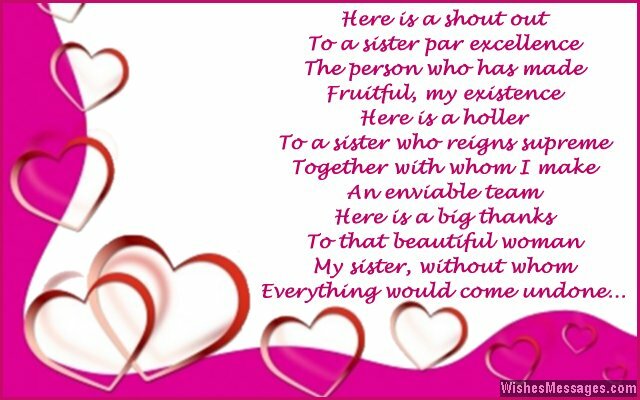 Tell your sister that you just felt like showing some gratitude for all the time she has supported you and been there for you. 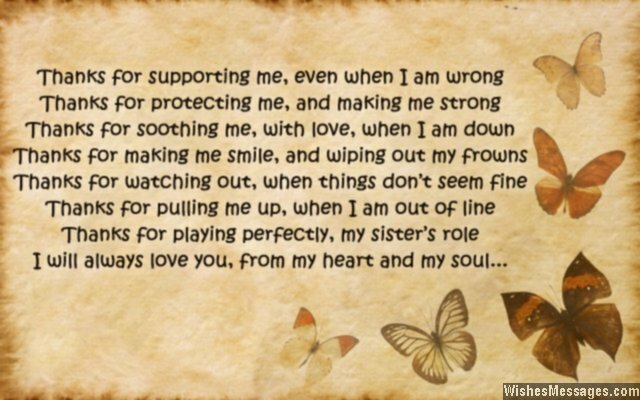 Your lovely note will become a keepsake that your sister will hold close to her heart for a lifetime.